The Tennessee General Assembly returned last week with 23 new faces and a list of old problems to address. 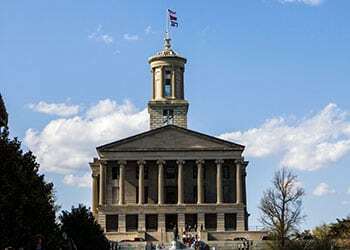 The first week of session was primarily ceremonial in nature culminating with the inauguration of Governor Bill Haslam for his second four-year term and the announcement of committee composition in both the House and the Senate. A two-week recess will allow for reorganization, as members will move their offices and staff is reassigned in order to be prepared for the next two years of lawmaking. They will return on February 2 to begin a special session, called by the Governor, to consider Insure TN. This program is controversial, as it will use a combination of Federal funding and an assessment on hospital revenue to expand the population of citizens who qualify for TennCare (the state’s version of Medicaid). Since it is a special session of the legislature, Insure TN is the only topic that can be considered. The special session is planned to last one week, with regular session set to commence on February 9. Major issues expected to dominate the headlines after Insure TN is settled include: revisions to the state’s educational standards (known as “Common Core”), proposals to regulate abortion providers and clinics, a discussion about funding for road projects which will include possible restructuring of the gas tax, and the inevitable disagreement over passing the state’s budget and its impact on funding for all other proposed new or revised programs. Issues of concern for electric cooperatives will be many, although we cannot be 100% sure of all issues until the deadline for filing bills as passed. This year, the deadline is set for February 12 – although any delays in the Special Session could push that deadline back. TECA is proactively encouraging legislation to address liability concerns that arose from a court case regarding property owner claims of inverse condemnation. This legislation would reestablish a statute of limitations on the amount of time a property owner could bring such an action. Also, TECA has been involved with a coalition of concerned parties who have been studying the State’s reaction to the EPA’s proposed Clean Power Plan. Director of Government Affairs, Mike Knotts, testified to joint meeting of the House and Senate Government Operations committees on this topic in December. Click here to see the full video of the hearing, Mike’s testimony begins at 00:50:30. Legislation is likely to be proposed to guide the state’s reaction to EPA’s plan, once its becomes final later this year. TECA’s main concern is preserving all of the remedies, both legal and legislative, available to ensure that EPA’s plan does not harm cooperative members through unnecessary hikes in rates or reductions in reliability. If you want to stay informed throughout the legislative session, join the mailing list for our legislative newsletter – View from the Hill. To do so, sign up by clicking here.